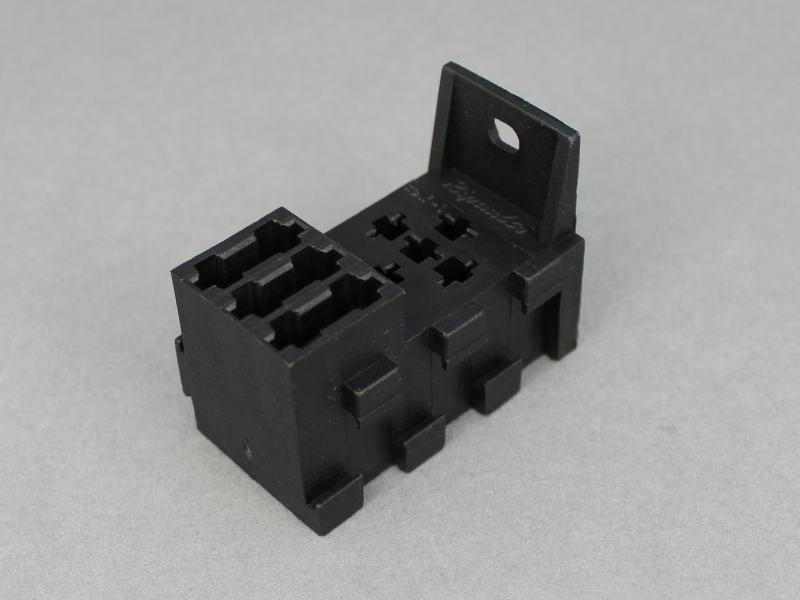 Fixed relay socket and blade fuse holder accommodating a standard/mini relay with 4 or 5 pins (6.3mm width) and 3 standard blade fuses. 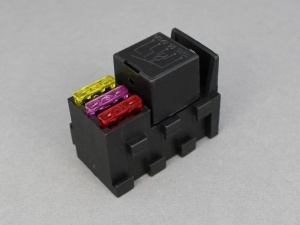 This provides a compact solution for fusing the solenoid circuit and up to two switched circuits (e.g. for a changeover relay). 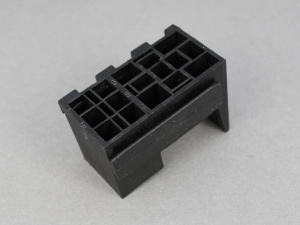 Incorporates a fixed moulded bracket for mounting. These sockets can be clipped together to form a multi-relay block. Sold individually (relay and fuses not included).